The Clarence House Chase is a Grade One National Hunt steeplechase, run at Ascot over a distance of two miles and a furlong. During its running there are thirteen fences to be jumped, and is scheduled to take place each January. The event was founded back in 1987, but was abandoned that year due to frost, before the following year it was called off again due to fog. Eventually, David Elsworth's popular grey Desert Orchid won it for the first time in 1989, where the race was originally known as a handicap. The event returned to Ascot in 2007, after the Berkshire venue was closed for redevelopment for a couple of years. That year, the race was promoted to Grade One status, and now often includes some of the leading contenders for the Queen Mother Champion Chase in two months time at the Cheltenham Festival. Six horses have won both races in the same season – Viking Flagship (1994), Call Equiname (1999), Master Minded (2009), Sprinter Sacre (2013), Sire de Grugy (2014), Dodging Bullets (2015), and Altior will look to make his seven, by adding his name to the roll of honour. After the final declarations on Thursday, it was confirmed he will only face two other rivals, after the surprise withdrawal of the record holder: Un De Sceaux, who has won this race for the last three years running. Nicky Henderson's Champion Chaser will be a very very short price on Saturday not only to his ability and class, but also to the fact one of his challengers - Colin Tizzard's Fox Norton, has not raced in over a year. Last seen pulling up in the 2017 King George behind Might Bite, the plan over three miles never really found any life. Prior to that, he was a close runner-up in the Tingle Creek to Politologue, and also finished second earlier of that year in the Queen Mother Champion Chase behind Special Tiara. The 9yo may need this run for a boost in freshness and sharpness, and may have a race of his own some way behind Altior, with Diego Du Charmil, who was a distant second to Altior in the Desert Orchid at Kempton the day after Boxing Day. A decent horse in his own right - including a Grade One success at Aintree last term. This looks a different bowl of fish with arguably the best in the game involved here, and will surely be outclassed. Three runners, Altior will be hoping to extend his unbeaten record to seventeen. He should have it all his own way. 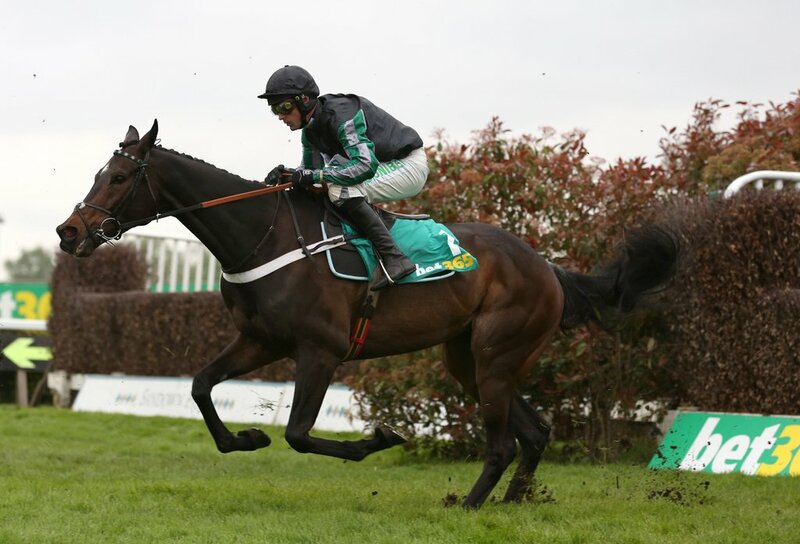 There are several trends that fit Altior's immaculate profile, ahead of the 28th running of the Clarence House Chase. All sixteen of the last sixteen winners had raced within the last seven weeks, with just one less winning at least three times over fences previously. Eleven of the last sixteen horses had won their last race, ten of which racing at Sandown or Wetherby last time out.. (Altior raced at Kempton). Four of the last sixteen winners had won the Tingle Creek Chase last time out - a race Altior did win, but managed another stretch of the legs in between that and this over Christmas. Paul Nicholls has five wins in total, but it looks bar-disaster, that the trophy will be heading back to Nicky Henderson's stable who has won the race four times in all. Fifteen of the last sixteen winners were aged nine or younger, seven of those were 8yo. Just over half the favourites since the year 2000 have won, with all bar two placing. Eight of the last sixteen won at a distance of four lengths or less, but we think that might be smashed up this weekend. Fourteen of the last sixteen went onto run at that season’s Cheltenham Festival, ten of which in that season’s Champion Chase, providing four winners, and six in the races' illustrious history. Nico de Boinville will be relishing the ride aboard Altior, as he looks for his first win in this contest.